The Fiber Artist Supply Company began its life selling retail only, but we now have a small network of domestic and international retailers selling our products. If you look around our store you will usually find percentage discounts applied to bulk purchases of identical items. These discounts vary from 20%-50% depending on the item. Drop spindles and niddy noddies have the highest discounts and are the most popular items we wholesale, though we can offer bulk pricing on anything we have in stock. The Fiber Artist Supply Company sells wholesale to any person or business interested in meeting our wholesale quantity requirements. We do not offer exclusive agreements based on region or method of selling our products, nor do we require buyers resell our products for any set price. We do not sell on accounts. 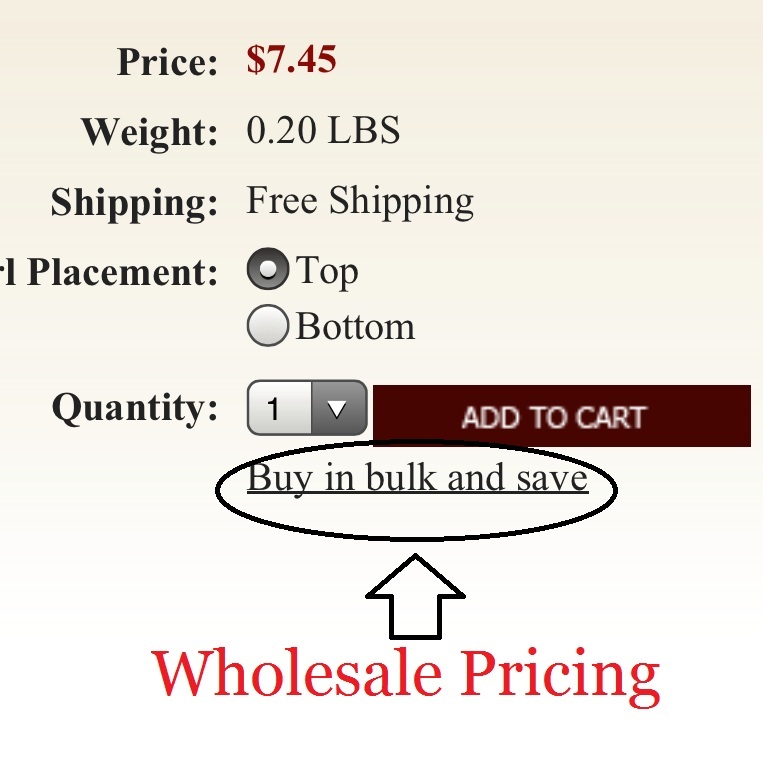 The table that expands when you click the "buy in bulk and save" button reflects the wholesale quantity requirement and the corresponding prices. Aside from the per-item saving, you will also save significantly over those purchasing a single item as we offer shipping discounts on volume orders. We do realize that many retailers like exclusive pricing information and rigid policies, and will have distaste for our wholesale style. Our goal is not to exclude any retailer, but rather include all businesses and individuals, especially those that want to offer high-quality products without being bound by contact or forced into high minimum order quantities. Feel free to contact us if you have any questions about retailing our items.